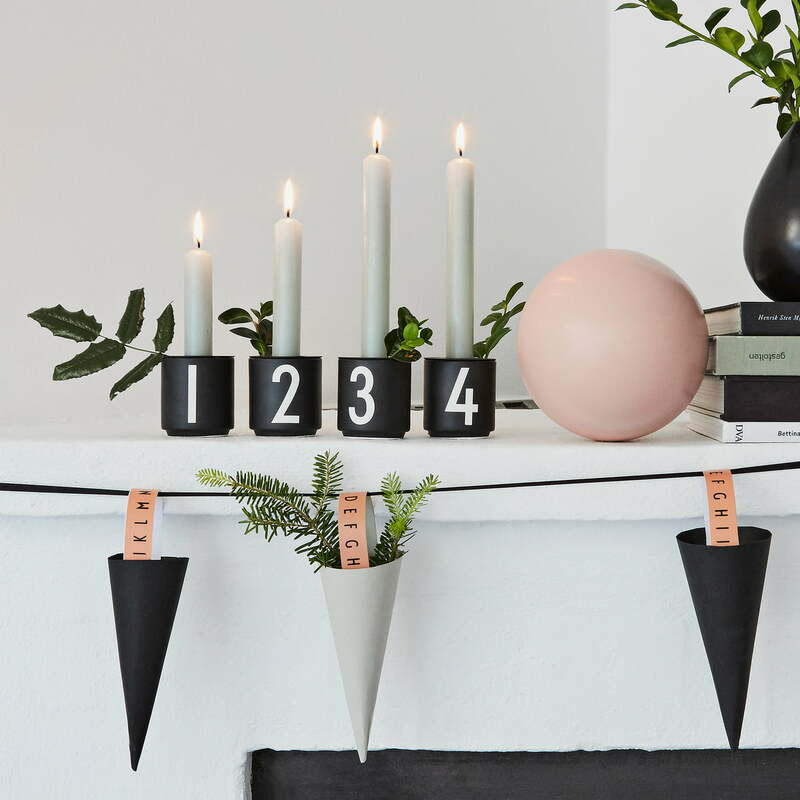 The candleholder for the AJ mini cups from Design Letters is a great and practical accessory. 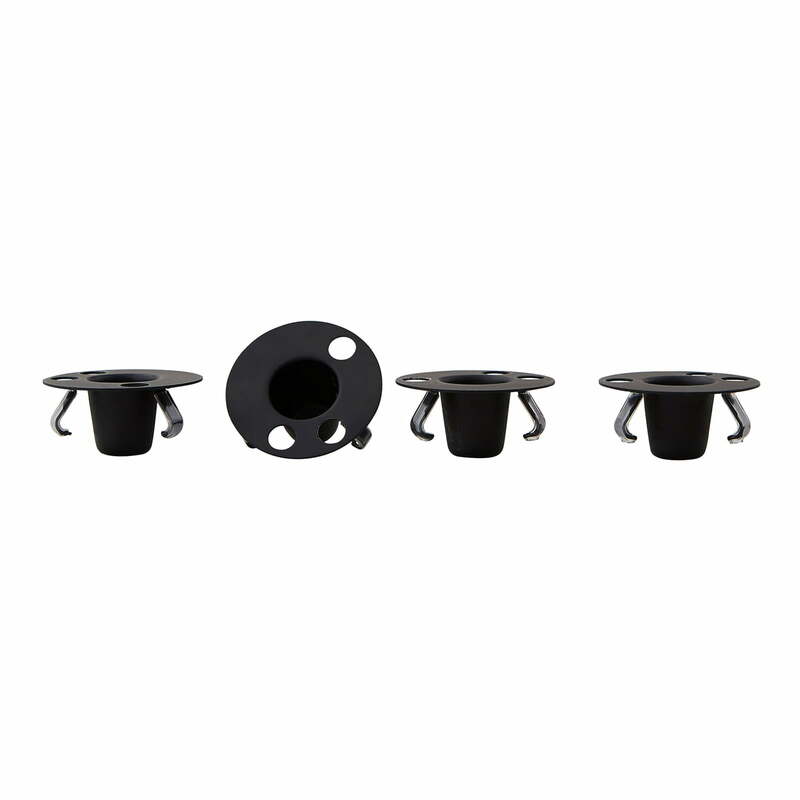 Thanks to the candleholders, rod candles can also be inserted into the AJ mini cups. So the cups are quickly transformed into candlesticks. The special feature of the candle holder is that it not only has a recess for the candle but also three more. Through these holes small branches, plants and much more can be put for decoration. 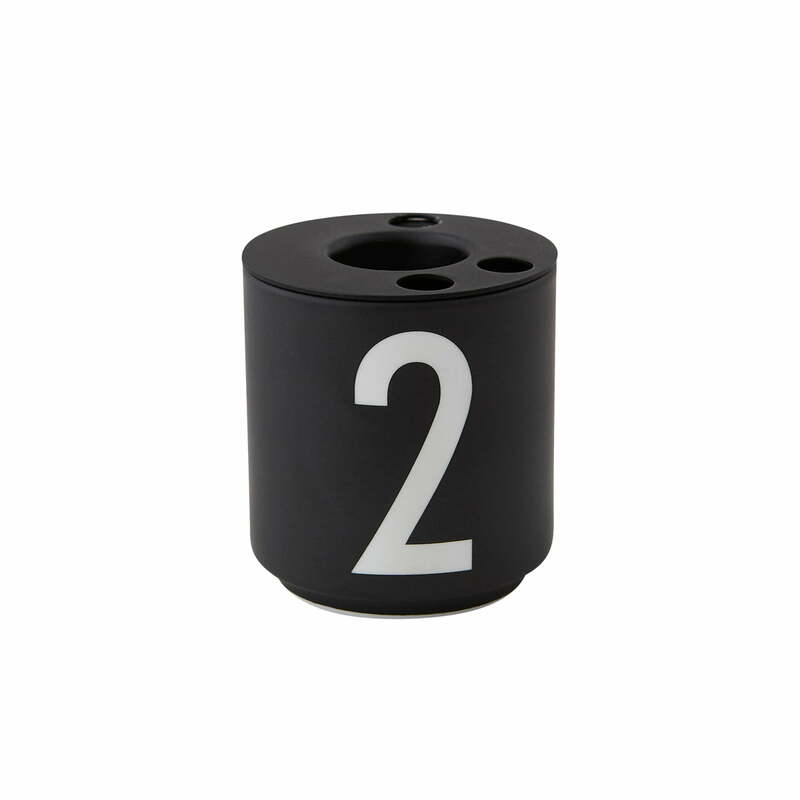 The candleholder is available in a set of 4 and is made from powder-coated steel. The Candleholder for AJ Porcelain Mini-Cup by Design Letters in black. 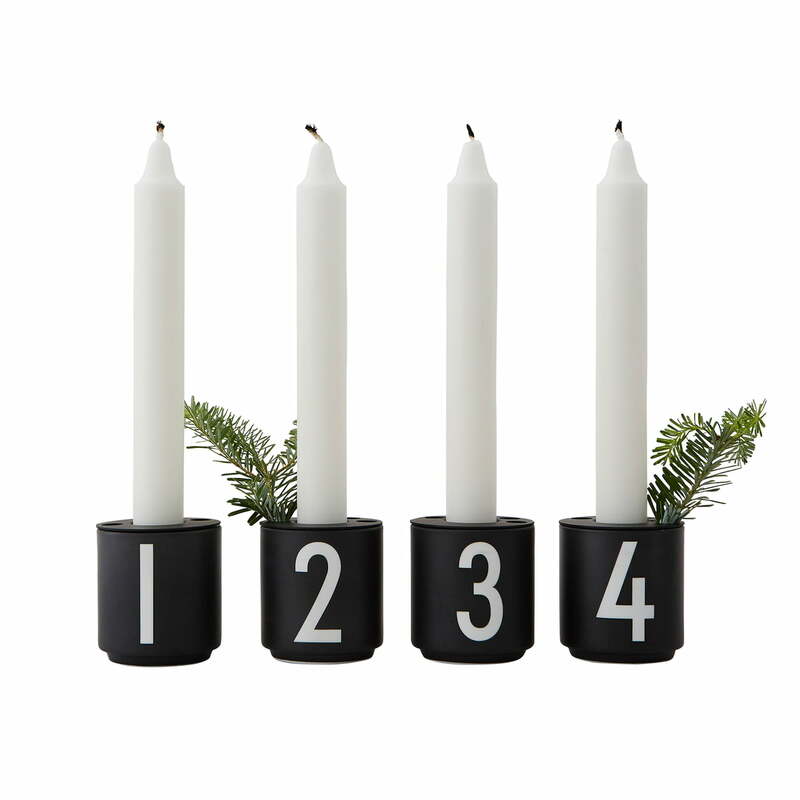 The candleholder is available in a set of 4 and is made from powder-coated steel. The special feature of the candle holder is that it not only has a recess for the candle but also three more. Through these holes small branches, plants and much more can be put for decoration. Group product image of the of the AJ Mini Becher with candleholder by Design Letters. 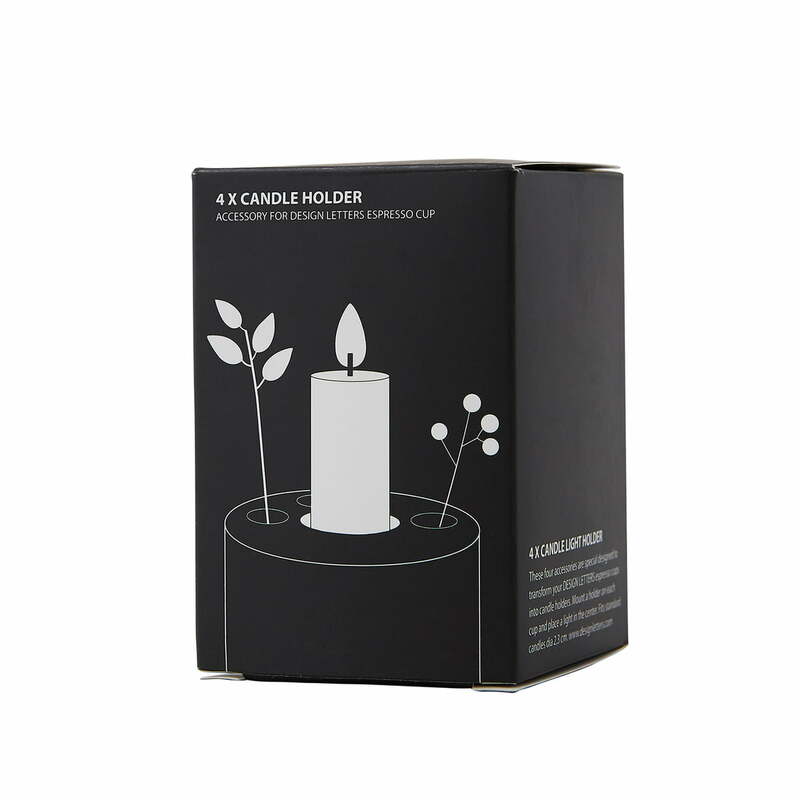 With the holder you can also put ordinary candles into the mini cups. Lifestyle product image of the AJ Mini Becher with candleholder by Design Letters. 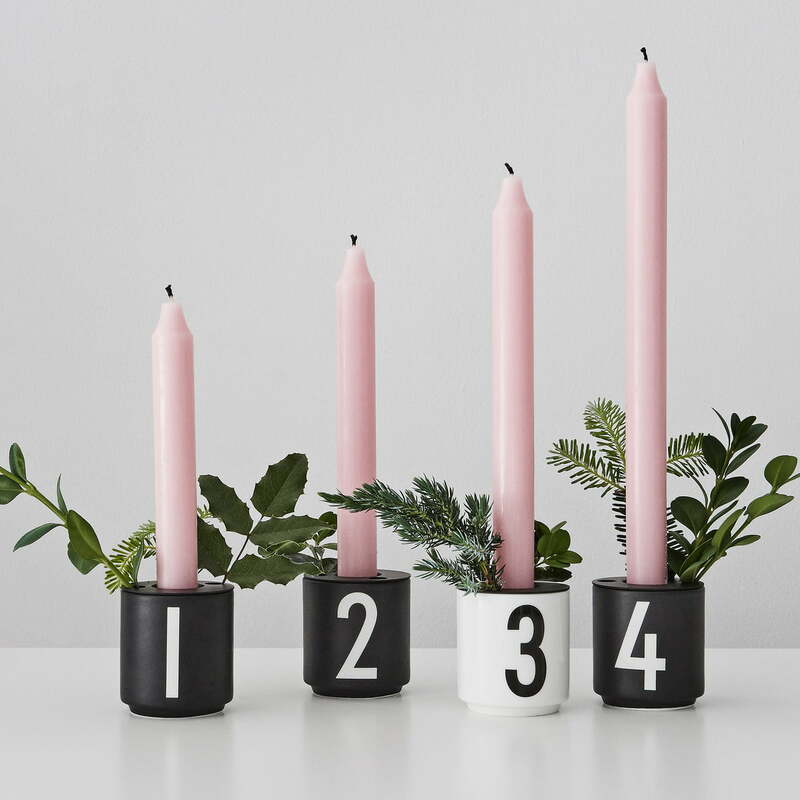 The holders for stick candles turn the mini cups into a modern Advent ensemble in no time at all.